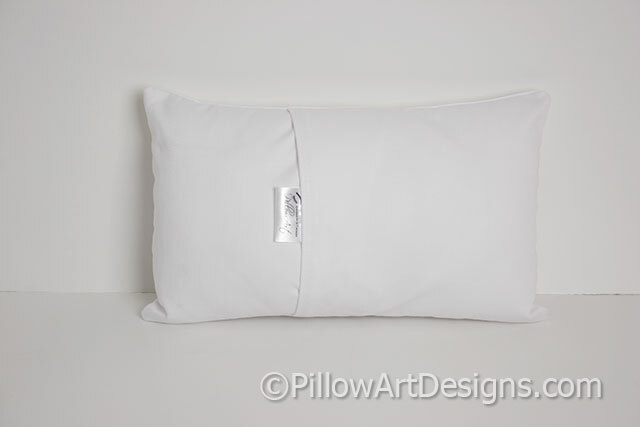 Small white cotton twill pillow measures 8 inches X 12 inches. 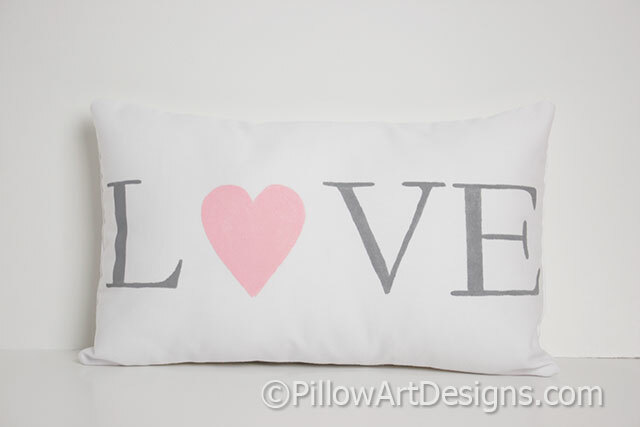 The word Love is painted in stone grey with pink heart on the front. 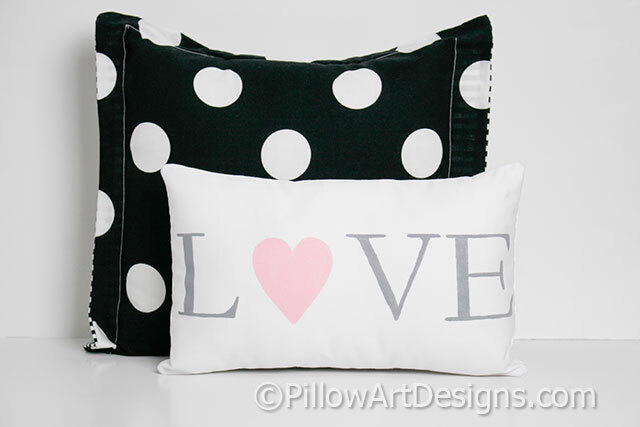 Pillow comes stuffed with hi loft polyester fiberfill, no need for an insert. Comes wrapped in white tissue, inside a box.